The company’s reputation has been established on sound principles: its dedication to quality, service and innovation. 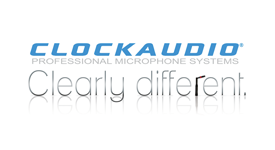 Audio professionals actively seek out and recommend Clockaudio for its reputation as a trusted and dedicated manufacturer and its acknowledged customer drive approach to audio solutions. Central to this is the in-house research and development facility which allows clients to explore customised prototypes and develop specific briefs in partnership. This partnership approach has struck a chord with consultants and contractors alike, giving them the opportunity to be involved in the final solution. The ability to customise is just one of the many factors which makes Clockaudio clearly different.